Republic Day is one of those days, which is eagerly awaited by every Indian; as this is the day when the country's constitution came into force. Realizing the dream of many great leaders who gave their lives for the country's independence, India became a true republic. 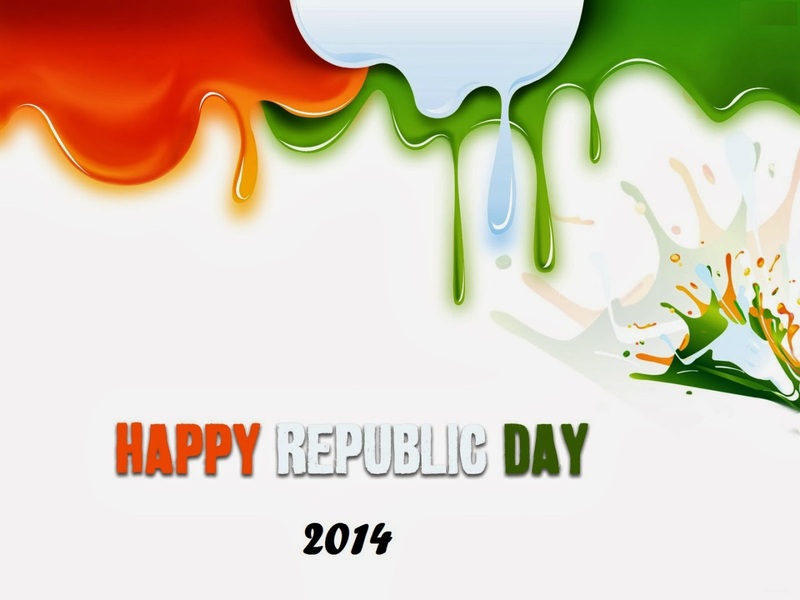 To celebrate this great event, 26th of January is observed as Republic Day ever year. This date was decreed as a national holiday, and one can witness great festivities on this occasion at various places in India. Public functions are organized at many locations across the country; which gives a chance for people to be a part of these celebrations, and have plenty of fun. Most significant of all celebrations is witnessed in the capital, New Delhi. A grand parade is held every year on Republic day in the capital city, which is telecast on the national television channel. Regiments from the Army, Navy and Air Force participate in a march in their uniforms that are embellished with official decorations. A pageant of amazing displays from all states of the country follows after Republic Day parade. They are moving exhibits that tell something about India's states and the life of people living in them. Schools, colleges, government offices and private establishments also organize their own events on this day. Tourists visiting India in late January have an opportunity to witness these Republic Day celebrations. Irrespective of the region that they are touring, they can sense the feeling of patriotism that prevails everywhere in the country on this day. The hotel or resort where they have booked their stay, would also have plenty of surprises in store for them in the form of special events. For travellers visiting Bhimtal, United-21 Nature Paradise offers comfortable accommodations at reasonable rates. On the occasion of Republic Day, it wishes everyone a very happy Republic Day!